Animal Cookies has genetics stemming from Fire OG and Girl Scout Cookies. With those being two of my go-to strains, it is no wonder why this medical marijuana strain is one of my new favorites to end the day. As with all strains of cannabis, depending on your batch of Animal Cookies, the aesthetics may be different than another batch. However, like Girl Scout Cookies, this strain has some distinct characteristics that seem to be obvious traits every time I come across the strain. Beautiful bursts of dark green, purple and orange are common when medicating with pretty much any strain deriving from the cookies. 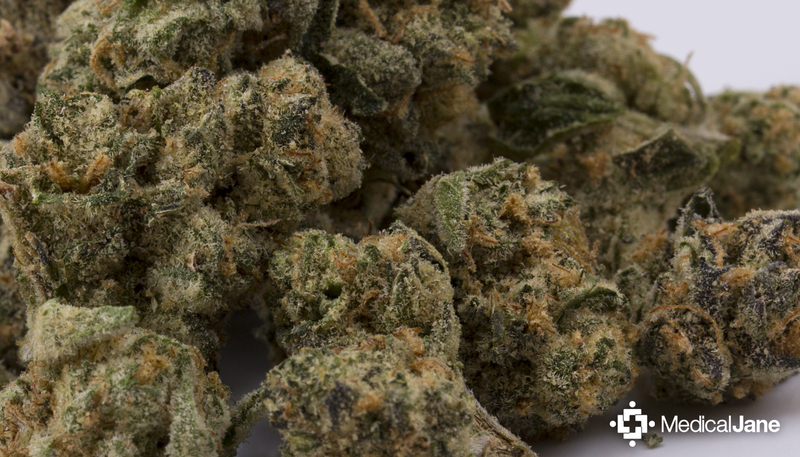 The Animal Cookies strain skillfully combines a noticeable Indica body melt coupled with a cerebral and spacey head-high. How Will The Animal Cookies Cannabis Strain Affect Me? The high concentrations of tetrahydrocannabinol (THC) may account for Animal Cookies being a “munchie-inducing” strain — it’s great for patients looking for a boost in their appetite. This batch of Animal Cookies has colorful buds that are extremely soft and will crumble to the touch. It is actually one of the most delicate buds that I can remember, as if it was ready to be broken down and enjoyed. Animal Cookies has an enticing terpene profile. A sweet musky scent of lemons and pine overtakes the room as the container is opened. The smooth smoke creates a taste so unique you may have to taste it to understand what I mean – it really tastes like a mixture of cherry, grape, and brown sugar. Although a good batch of well-grown Animal Cookies can be difficult to come by, this is sure to be a popular strain as it becomes more ubiquitous among the MMJ community.